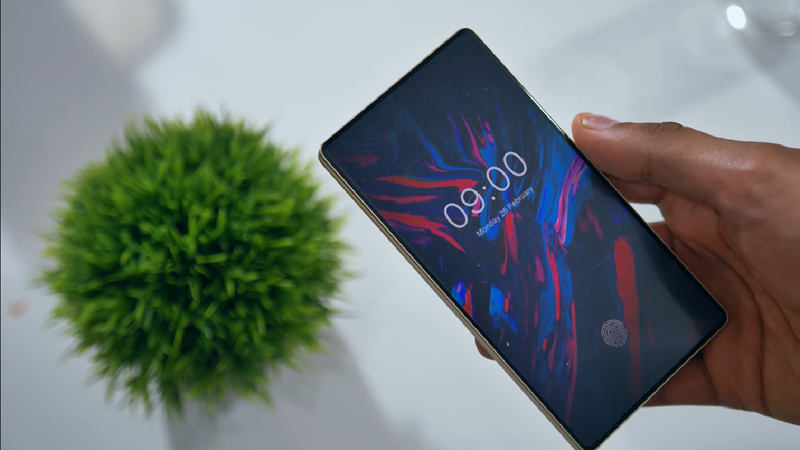 Doogee Mix 4 Prototype Showcases A Nearly Bezel-less Smartphone With A Whopping 97% Screen To Body Ratio - AndroGuider | One Stop For The Techy You! Since the last year or so, device manufacturers have been trying to maximize the screen real estate by cutting down the bezels. The manufacturers have shrunk the bezels to get as much as 84.9% of the front of the phone to be glass. 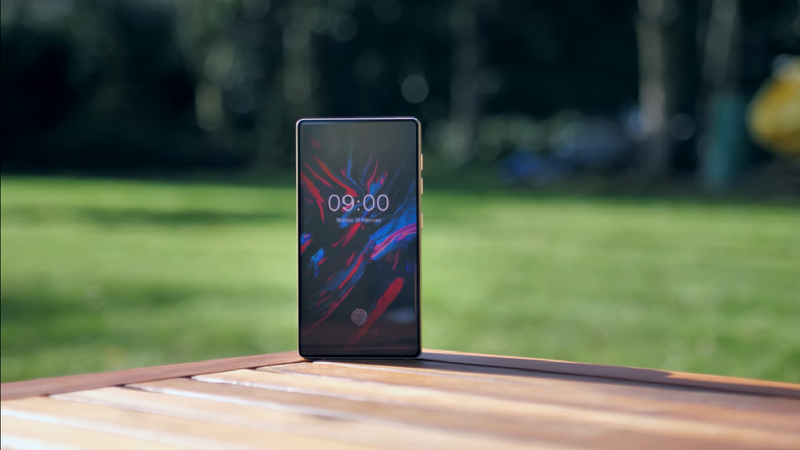 In the manufacturers' quest of getting to a phone whose front is entirely screen, the hindrances have been the space occupied by the front facing camera, earpiece, ambient light sensor and proximity sensor. These components are crucial to the functionality of our smartphones, so we can't get rid of them. Manufacturers have been trying to come up with solutions to overcome the space occupied by these components and maximize the screen to body ratio. YouTuber Mrwhosetheboss recently unboxed the prototype of the Doogee Mix 4. The Mix 4 prototype is a slider phone which has an astounding 97% screen on the front. The front facing camera, earpiece and sensors are hidden and can be revealed by sliding the phone down. The ambient light sensor is used for automatically adjusting the brightness of phone based on the light in the surroundings, but since the sensor is located on the slider, it will be hidden when normally using the phone. It will be interesting to see how Doogee goes about including automatic brightness. Like the ambient sensor, the proximity sensor is included on the slider. The proximity sensor is used to make out whether the phone is close to the ear while making calls. I guess that while making calls the slider would have to be opened. An additional functionality of receiving the calls by sliding the phone would be an extra bonus. In addition to the innovative design, the Mix 4 will seemingly be sporting an in-display fingerprint scanner. Doogee has told Mrwhosetheboss that they will be making use of a Snapdragon processor for the Mix 4, instead of the usual MediaTek Helio chipset which was used for previous generation Mix phones. Since this is only a prototype, we do not know every tidbit of information. 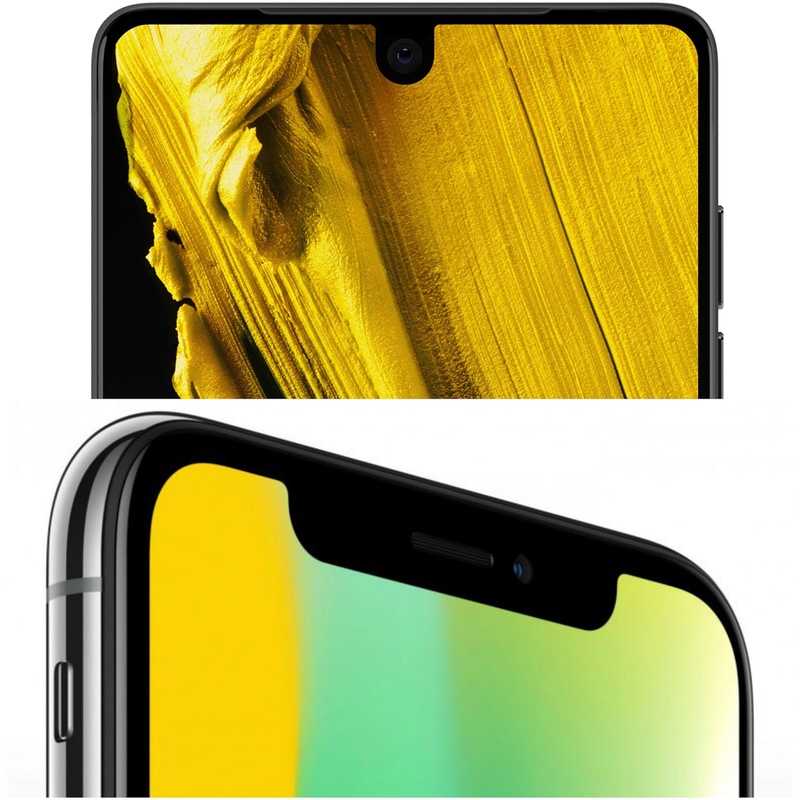 What we do know though is that the Mix 4 will be thicker than usual at 11 millimeters (that's because it is a slider phone) and it will have a dual camera setup at the back. Arun Maini aka Mrwhosetheboss expects the Mix 4 to be released by the end of the year and like previous Mix phones, the Mix 4 is expected to be priced below $300.